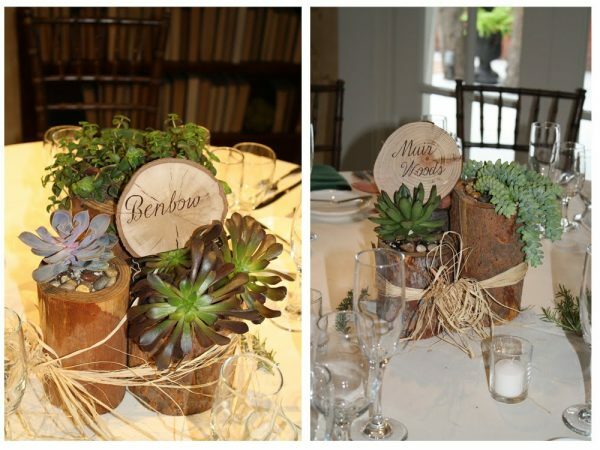 Looking back, one of our favorite themes of the summer embraced everything earthy, organic and eco-friendly. Our hands-on bride Stephanie had everybody pitching in on this day! 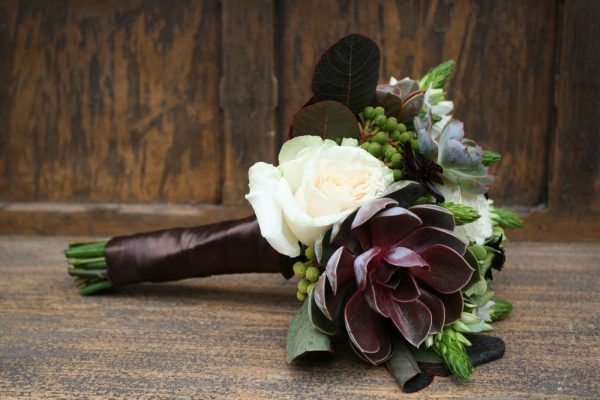 Brought in at the final hour to handle designing all her personal floral bouquets, family and friends all “rolled-up-their sleeves” on this one, and brought to life a day of love worth every special moment. 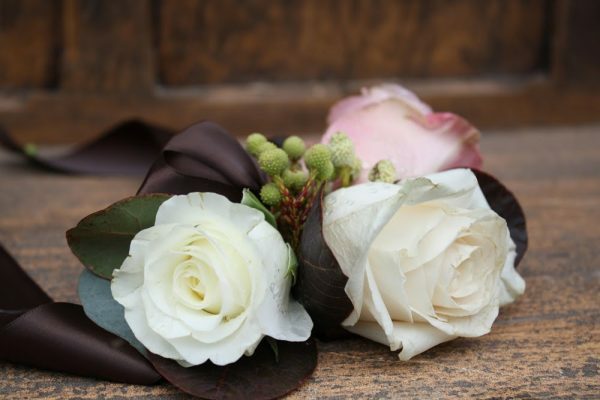 Because of Stephanie’s creativity and eco-friendly attitude, we only found it fitting that the regality and beauty of her bridal bouquets and boutonnières should reflect that. 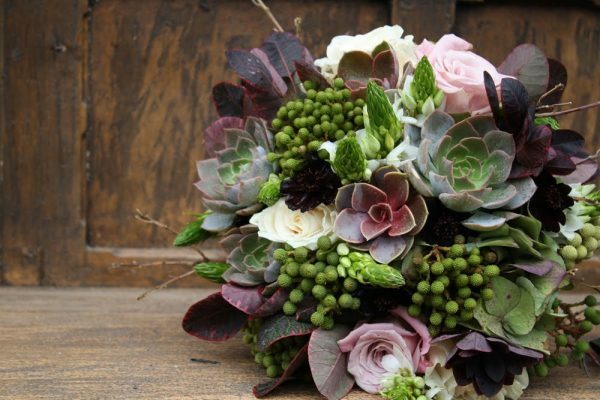 Dripping with earthy green -berzelia, creamy white and dusty pink roses, splashes of chocolate cosmos and star of bethlehem, accented the center piece - the star of the show “the desert flower”. With any bet, we guarantee no bride will want to throw this one at the bridal toss! 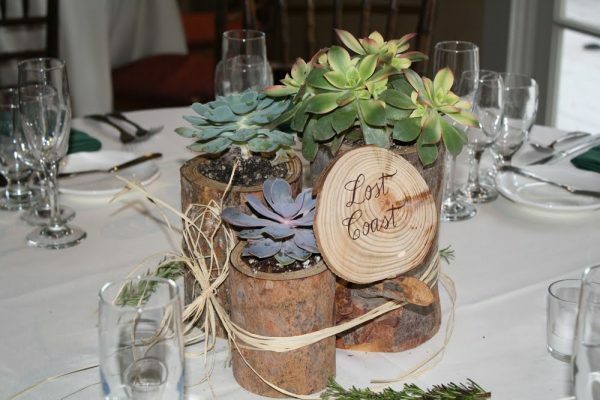 Hosted by The Victorian in Santa Monica, table tops were adorned and named after rustic and picturesque places, fusing the elements of nature by using hand-made planters out of tree bark, and a variety of succulents (yes succulents!) – All produced at the hand of Stephanie’s mother-in-law to be (how’s that for good graces!). 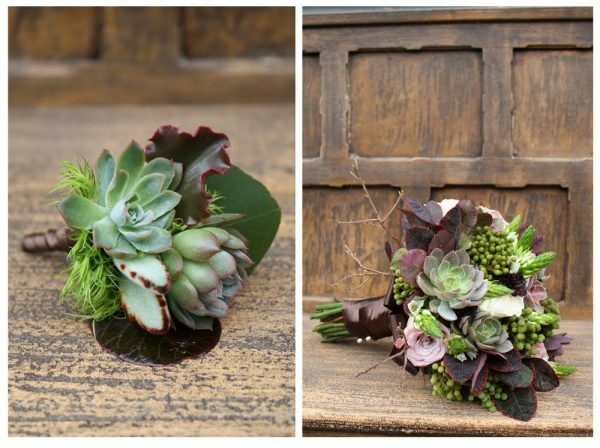 Looking closely at growing trends, more and more people understand the beauty and simplicity of succulents – how great is it to think that when used as a metaphor for love (standing and weathering all elements) the centerpiece of a great testament to the feeling and emotions you share on that special day, in a perfect union between two people.